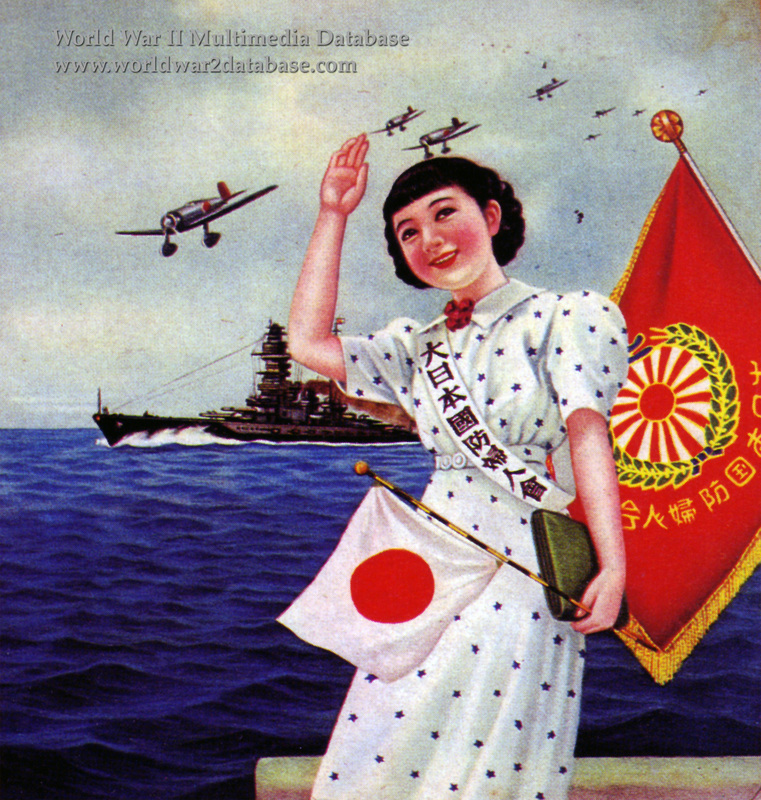 Poster from the Greater Japan National Defense Women's Association romanticizing the return of Imperial Japanese Navy forces and the Association's role in welcoming them home. Participation by married women in Greater Japan Women's Association, which succeeded the Greater Japan National Defense Women's Association, was mandatory. The militarists' government expected Japanese women to fulfill traditional women's roles, unlike the Allies, who were quick to adopt women into defense industries. The Japanese did not recruit women for war work until late 1943, and they did not enter war production in force until 1944. Much of this work was decentralized, partly to confound bombings on a central factory, but also to foster support for women's traditional roles as home workers. Besides raising children and managing the home, they could do defense work as unskilled labor.